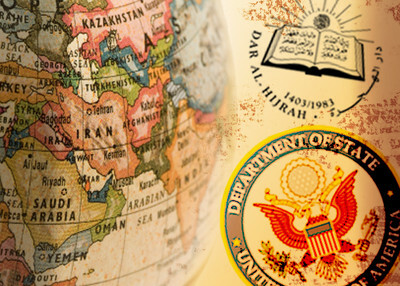 The State Department wants its next wave of diplomats to learn what Muslims in other countries think of America. As we reported Tuesday, federal law enforcement officials view the Dar al-Hijrah mosque as home to Hamas operatives and others linked to terrorist financing and "bad orgs." In addition, it was home for two years to Awlaki, a charismatic, American-born cleric now living in Yemen. He is considered to have been inspirational to the accused Fort Hood shooter Nidal Malik Hasan, failed airplane bomber Umar Farouk Abdulmutallab and Times Square bomber Faizal Shahzad. As a result, he may be the only American the CIA is authorized by the President to kill. "Their definition of Islam, or the Muslim community, is very narrow. That's definitely a problem because the diversity of the Muslim community in America is quite rich," she said.